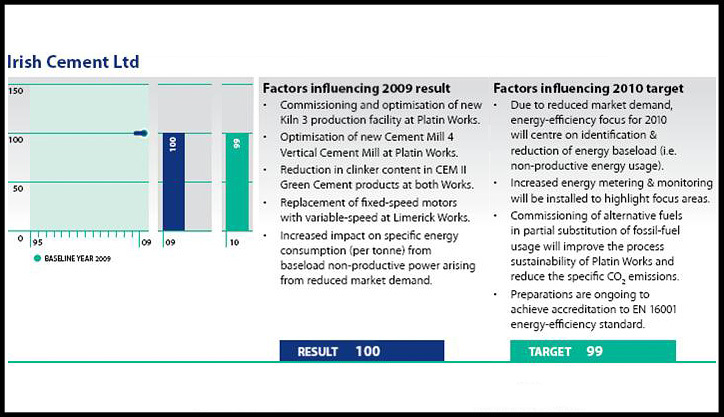 As the cement manufacturing process is energy intensive, our continuous focus in the area of improving the sustainability of our resource usage has always been placed on achieving the highest levels of energy efficiency at Irish Cement production facilities. In addition to addressing our efficient usage of resources, we are also moving towards more sustainable sources of energy with the implementation of our Alternative Fuels initiative to displace fossil fuel consumption with waste derived fuels. To demonstrate our commitment to delivering improvements, Irish Cement has voluntarily joined the Energy Agreements Program (EAP) coordinated by Sustainable Energy Authority of Ireland (www.seai.ie). Our involvement in this program along with our membership of the Large Industry Energy Network (LIEN) allows us to draw ideas from energy efficiency experts across multiple manufacturing sectors within Ireland and overseas. 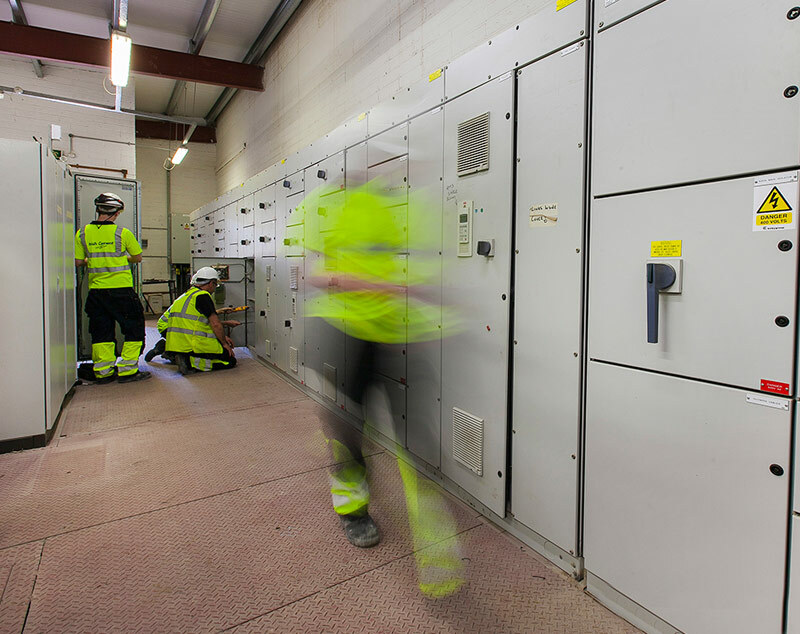 With the improved policies and procedures for energy management arising from our involvement in the EAP, Irish Cement is actively working towards adding accreditation to the new International energy efficiency standard ISO50001 to our existing accredited ISO14001 Environmental and ISO9001 Quality management systems. Over many years, Irish Cement has continually invested in Best Available Technology (BAT) for cement production at both of its facilities in Limerick and Platin. As early as the 1970s and 1980s energy efficienct Dry Process kilns were first introduced at Platin and Limerick. Over time these investements were augmented with waste heat recovery for raw materials drying, vertical milling systems and high efficiency seperators. More recently, this approach is particularly visible in our recent €200m investment in Kiln 3, a completely new ultra-modern energy efficient cement production plant in Platin. The modern technology employed in the Kiln 3 project has improved the efficiency of the cement production process resulting in considerable environmental improvements. This investment has made Platin Works one of the most modern and efficient cement plants in Europe and underlines the Irish Cement commitment to efficiently supplying Irish customers for many decades to come.